Design, architecture and infrastructure forms an important tenet that promotes excellence. 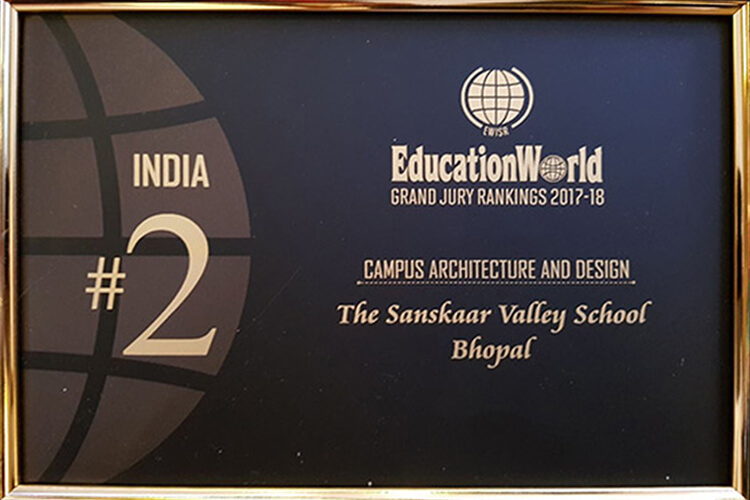 In the league, The Sanskaar Valley School, Bhopal was awarded the 2nd Best School in the Country for Design & Architecture by the much-appreciated Education World India School Rankings-2017. On the premise that there is more to education than academic or scholastic excellence, this award has truly recognized The Sanskaar Valley School's ongoing pursuit to provide to our students the best infrastructure and environment that propels excellence. Congratulations to all for this feat.